Brent with his partners Mike and Brice started American Bullnose Company of Texas in Dallas and delivered the first order of glazed bullnose tile on October 15, 2002. 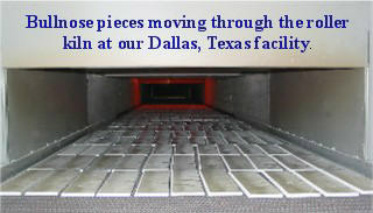 We quickly outgrew the original space and moved to a much larger facility in May of 2004. At the same time, we added more equipment including a rolling hearth kiln. For the next several years we added more space and “state of the art” machinery to keep up with the demand. The original product line of glazed bullnose tile has evolved into a product line that includes: through body porcelain bullnose, natural stone bullnose, stair treads, as well as tile sizing for modular installations.